Register Online for January 23, January 26 or both! Engaging students in natural places, research and information from their own communities is an impactful way to teach your students about the local environment while enriching their hands-on science and engineering skills! 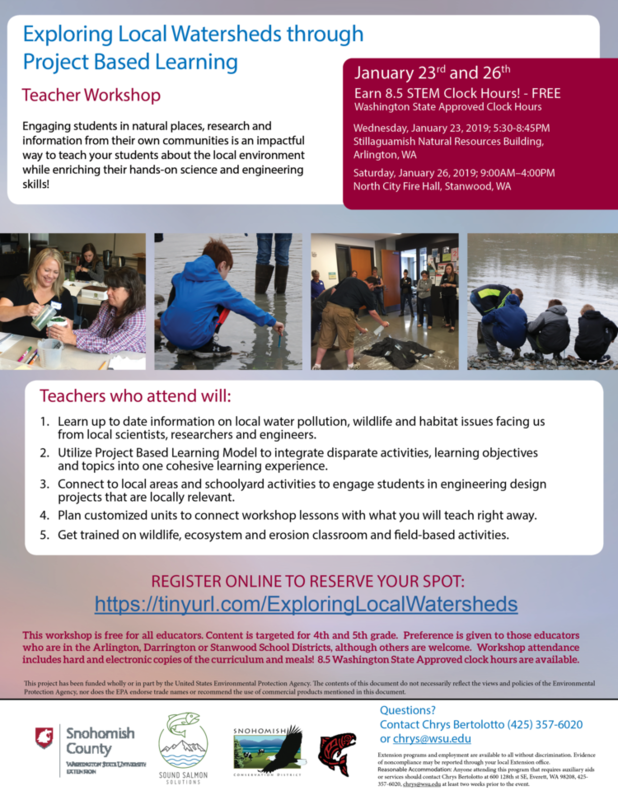 Earn 8.5 STEM Clock Hours for FREE by attending both workshops! The other part of this series will take place on Wednesday, January 23 from 5:30 p.m. to 8:45 p.m. in Stillaguamish Natural Resources Building in Arlington.